But first today, a bit of voting and election news: A federal judge on Friday, just before the Christmas holiday, found in favor of Maine's Democratic Sec. of State Matt Dunlap after he was forced to sue Donald Trump's so-called "Election Integrity" Commission headed up by Vice President Mike Pence and Kansas' Republican Sec. of State — and infamous GOP "voter fraud" fraudster — Kris Kobach. Dunlap had sued because, even though he is on the Commission itself, Kobach and the other rightwing fraudsters on it had been withholding documents and keeping Dunlap completely out of the decision making process. While that was a loss for the Government, a separate lawsuit against the Commission, filed by the Electronic Privacy Information Center (EPIC), was rejected by a federal Appeals Court on Tuesday, on the basis that the group did not have standing to sue. 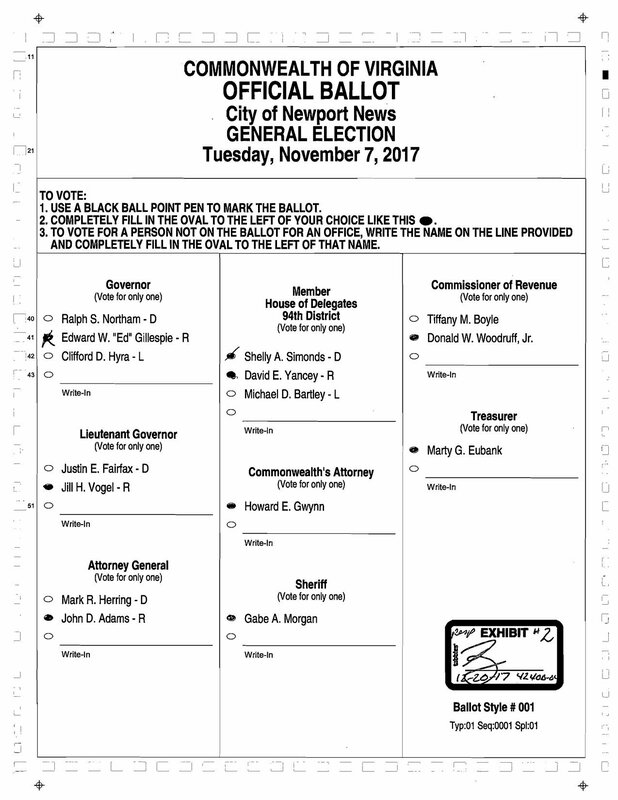 Also today, an update on the November 7th, 94th District Virginia House of Delegates race where Democrat Shelly Simonds appeared to have unseated Republican David Yancey by one single vote, until one of the Republican election official judges decided, the day after a "recount" was completed last week, that a previously discarded over-vote ballot (JPG) was actually a vote for the Republican after all. A three-judge court panel of GOP-appointed judges agreed, which meant the race was tied and the winner would be determined — along with the balance of control of the Virginia House, which had been controlled by the GOP for decades — by a random draw. That draw, scheduled for Wednesday, was postponed late on Tuesday by the state's Election Commission at Simonds request, while she challenges the three-judge panel's ruling in court. "The history of Watergate has been completely rewritten in the past 45 years," Schwarz explains. "The reality is that it just barely succeeded. All of the investigations, all of the obvious, blatant wrongdoing by Nixon was just barely enough to get him out of office. Under other circumstances — if the Republicans had controlled Congress, if they'd had Fox News then, if they'd had decades of appointing people to the courts — it's very likely that Nixon would have stayed in office, and people would remember it as just a minor blip." Finally, we close today with some related listener e-mail, a few more thoughts on the Powell Memo, and a few words of thanks to those of you who helped us to continue BradCasting into the new year.